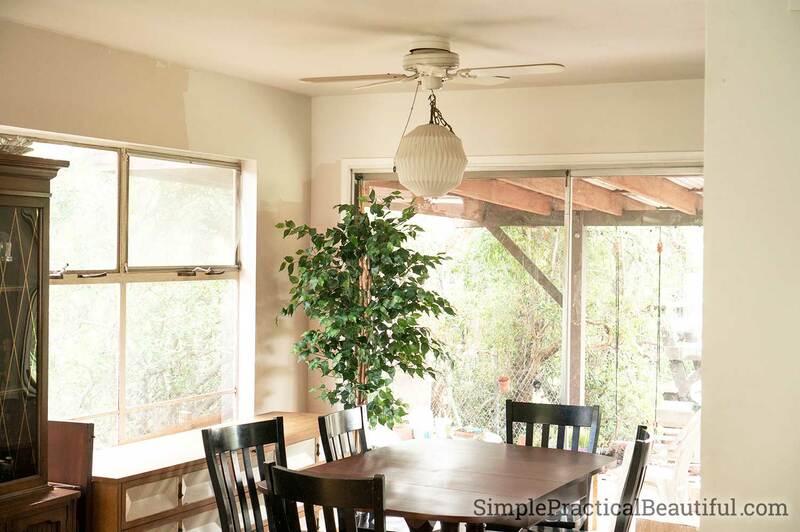 Learn how to install a new ceiling light and how to remove an old fan or light from this video tutorial. 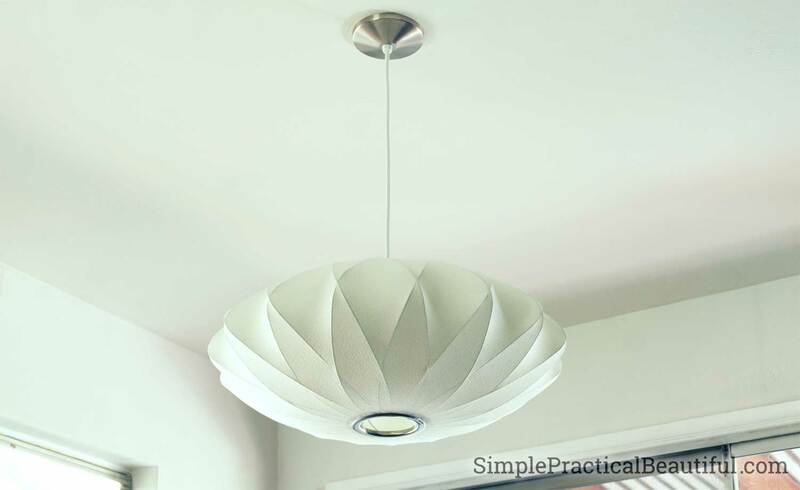 Remove a dated light fixture and replace it with modern lighting. As part of our dining room makeover, we needed to update the lighting. It always amazes me how much changing light fixtures can change the look of a room. 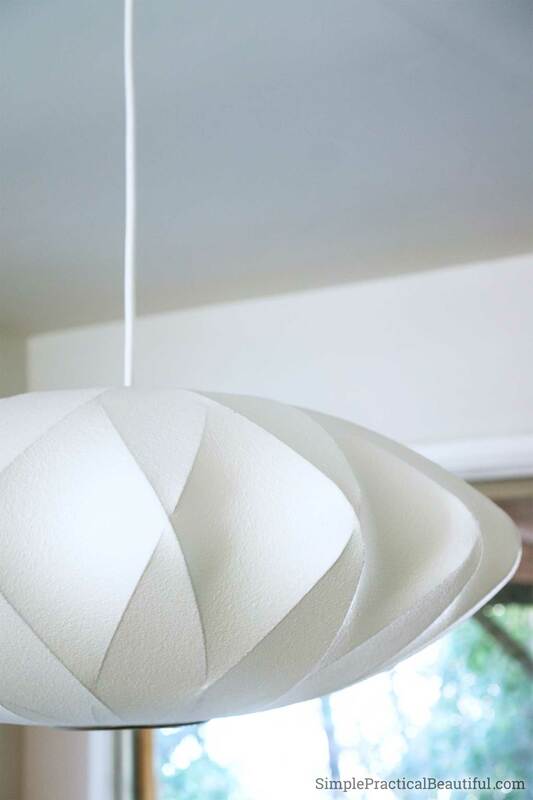 A light fixture is an important feature in a room, but the light is casts makes all the difference. Our fan/light combo not only looked old and dated, but the light from the globe lamp wasn’t very bright. That might be good for mood lighting, but a dining room light should let you see exactly what’s on your plate that you’re eating. Since this DIY project includes working with electricity, please understand that this video is for informational purposes only. Simple Practical Beautiful assumes no responsibility for improper use of this information and assumes no liability for the omissions, errors, or the outcome of any project. It is the responsibility of the homeowner to ensure compliance with all applicable laws, rules, codes, and regulations. Be safe and exercise caution with all DIY projects because any injury, damage, or less that results from this information is the sole responsibility of the viewer. So, here’s the video tutorial. Below it are a few more tips and lessons we learned with this DIY project. We’ve removed several light fixtures as we’ve been renovating our home (like this pendant light and this ceiling light and this chandelier). But this was our first time removing an old fan. We learned that you don’t have to take the fan apart to remove it. 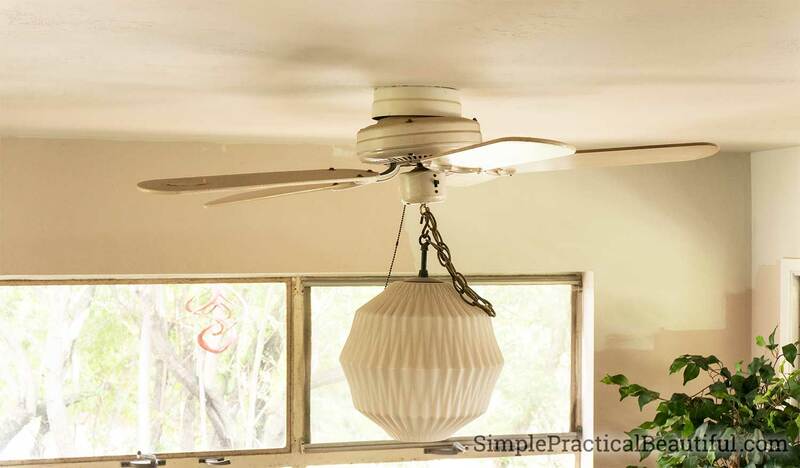 In the video, we took off all the fan blades to make working with the fixture easier, but that isn’t a necessary step. As the video explains, you just have to push up and rotate the fixture to remove it from the housing. 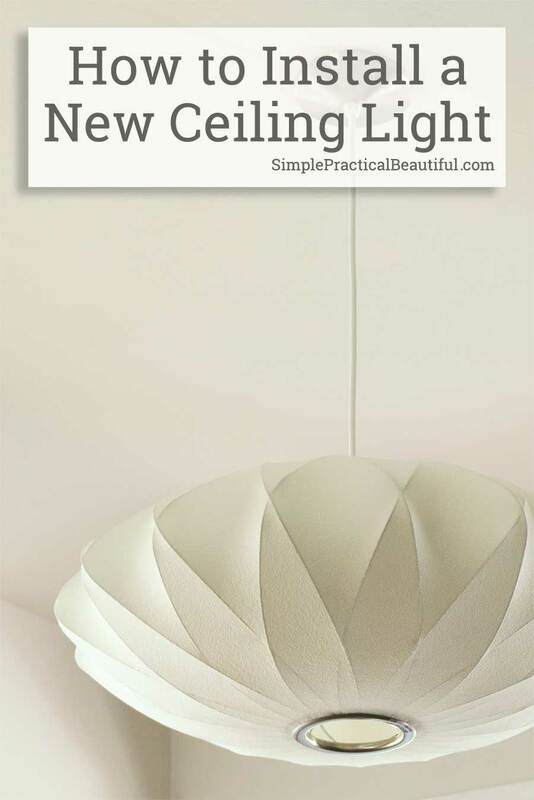 For more details about how to install a new ceiling light, please go to my post about How to Replace on Old Fixture with a New Light. If you like the Nelson Criss-cross Bubble light, you can purchase it from Amazon.com from this link. We have loved this light. It’s the first thing you notice when you walk in our front door, and it makes our whole dining room and living room area look modern. It can take up to a 150 watts light bulb, which is a lot of light.